More PCI-express SSD cards coming to OS X | MacFixIt – CNET Reviews – Carpet Bomberz Inc. 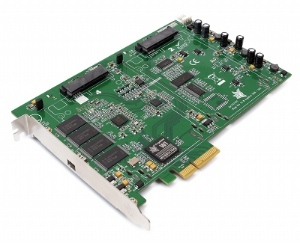 The card will use the Marvell 88SE9455 RAID controller that will interface with the SandForce 2200-based daughter cards that can be added to the main controller on demand. This will allow for user-configurable drive sizes from between 60GB and 2TB in size, allowing you to expand your storage as your need for it increases. via More PCI-express SSD cards coming to OS X | MacFixIt – CNET Reviews. 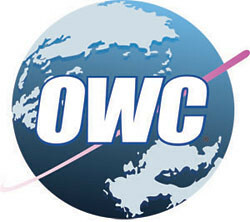 I’m a big fan of Other World Computing (OWC) and have always marveled at their ability to create new products they brand on their own. In the article they talk about a new Mac compatible PCIe SSD. It sounds like an uncanny doppleganger to the Angelbird board announced about 2 years ago and started shipping last Fall 2011. The add-on sockets especially remind me of the ugpradable Angelbird board especially. There are not many PCIe SSD cards that have sockets for Flash memory modules and Other World Computing would be the second one I have seen since I’ve been commenting on these devices when they hit the consumer market. Putting sockets on the board makes it easier to come into the market at a lower price point for users where price is most important. However at the high end capacity is king for some purchasers of PCIe SSD drives. So the oddball upgradeable PCIe SSD fills a niche that’s for sure. Performance projections for this card are really good and typical of most competing PCIe SSD cards. So depending on your needs you might find this perfect. Price however is always harder to pin down. Angelbird sold a bare PCIe card with no SSDs for around $249. It came with 32GB onboard for that price. What was really nice was the card used SATA sockets set far enough apart to place full sized SSDs on the card without crowding each other. This brought the possibility of slowly upgrading to higher speed drives or larger capacity drives over time to the consumer market. But what’s cooler still is Angelbird’s card allowed it to run under ANY OS, even Mac OS as it was engineered to be a a free standing computer with a large Flash memory attached to it. That allowed it to pre-boot into an embedded OS before handing over control to the Host OS whatever flavor it might be. I don’t know if the OWC card works similarly, but it does NOT use SATA sockets or provide enough room to plug in SSD drives. The plug-in modules for this device are mSATA style sockets used in tablets and netbook style computers. So the modules will most likely need to be purchased direct from OWC to peform capacity upgrades over the life of the PCIe card itself. Prices have not yet been set according to this article.